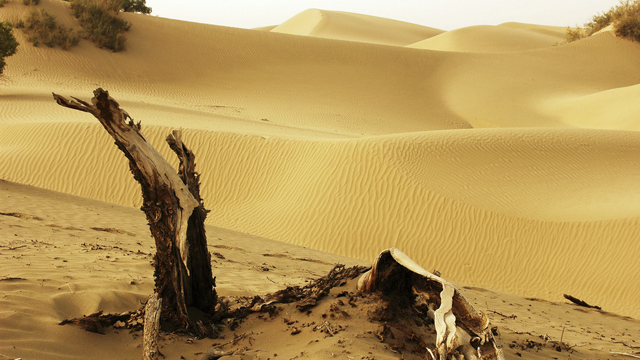 Two-thirds of the world’s land is turning to desert, thanks largely to the steak on your plate. That’s the conventional wisdom, anyway. For decades people have pointed to overgrazing by cattle as the main cause of desertification. When animals overgraze, they strip the land of native grasses, leading to erosion of the topsoil from wind and storms. 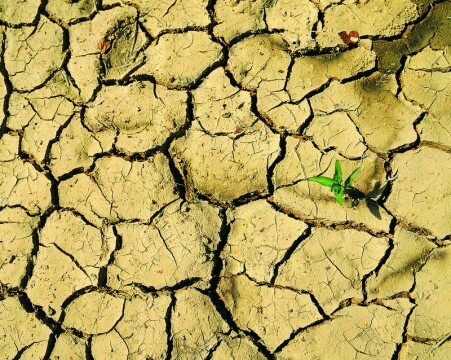 These parched landscapes become incapable of supporting the livestock or wild animals that once lived there — a situation that has led to famine and conflict in developing nations around the globe. But what if livestock could be used in a way that actually revitalizes landscapes and mitigates the impacts of climate change? It’s a counterintuitive and controversial idea that has the environmental community buzzing. The idea’s unlikely champion is Allan Savory, a 77-year-old biologist, farmer, and former politician. In the 1950s, he was responsible for the slaughter of tens of thousands of wild African elephants. Like many ecologists of the time, Savory believed elephants were destroying the African savanna, and by thinning the herds the grasslands would rebound. So Savory persuaded the government of Rhodesia (today Zimbabwe) to cull more than 40,000 elephants, but the grasslands continued to wither. Through this tragic experiment Savory unlocked what he believes is the key to saving grasslands and reversing desertification. Savory’s method, known as holistic planned grazing, calls for managing livestock in ways that mimic the prehistoric herds that once roamed the earth, fortifying grasslands with the pounding of their hooves and nutrient-rich manure. 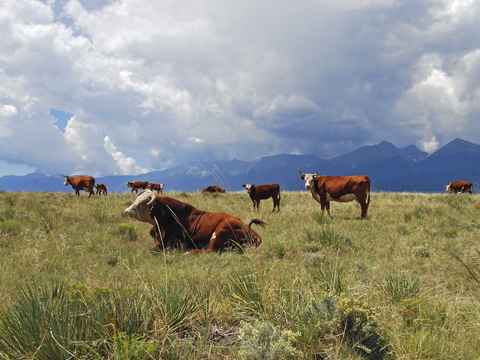 The cattle’s natural movement patterns and activities, Savory claims, spur the regrowth of carbon-sequestering grasslands. And if done on a large enough scale, these grasses could not only absorb enough carbon to offset the methane produced by livestock but also help combat climate change. Savory, winner of the 2003 Banksia International Award and the 2010 Buckminster Fuller Challenge, runs the Savory Institute, a nonprofit dedicated to spreading the practice. But it wasn’t until Savory’s TED talk in February 2013 that this method attracted mainstream attention. Planned grazing has its share of critics, with some claiming the practice doesn’t scale well and others questioning the research supporting it. Savory has faced this criticism for decades but remains unfazed. As in all industry, a few abused logging and grazing but most realized that grasses and trees are renewable resources and proper care kept the industries alive. But certain people with more time and money than experience managed to stop logging and grazing in large areas. Now, instead of logging and agricultural jobs we have many million acres of timber burned by a fire fueled by the overgrowth of grass that was not grazed and the diseased trees that were not harvested plus millions of dollars spent to protect the homes and structures of those who stopped the grazing and logging. I hope someday the consensus will be, “Often times, common sense and experience overrides the diploma on the wall”. Recognizing that grasses and trees are renewable resources assumes that loggers and cattlemen will look at the long term impact of their actions. But these are companies and most look at the sort term profit and ignore their own abuses. PS: LK’s “diploma on the wall” is a silly red herring. I hate to be nit-picky but in this case it’s warranted. Your paragraph that begins with “Planned grazing has its critics…” should read “Holistic land management has its critics…”. There is a profound difference between what is traditionally known as “planned grazing” and Savory’s methods known as “holistic land management”. Confusing the two obfuscates the debate and will harm much needed progress on the issue.